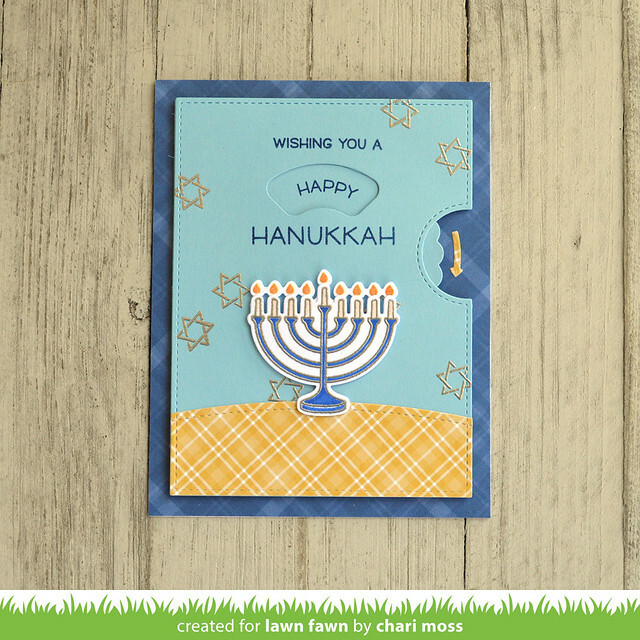 I kept this card pretty simple so the minora from Love You A Latke remained the star of the card. I actually even embossed the flames with glow in the dark embossing powder for an added special effect (which was unfortunately very hard to photograph). I simply stamped the flames with yellow ink then stamped again with clear and embossed over top of the yellow. The glow in the dark embossing is clear enough that the yellow shows through so the card is still complete in the light as well. I embossed the minora with silver embossing and carefully colored the image in with markers. I also silver embossed the Star of David to create my background on Moonstone cardstock. 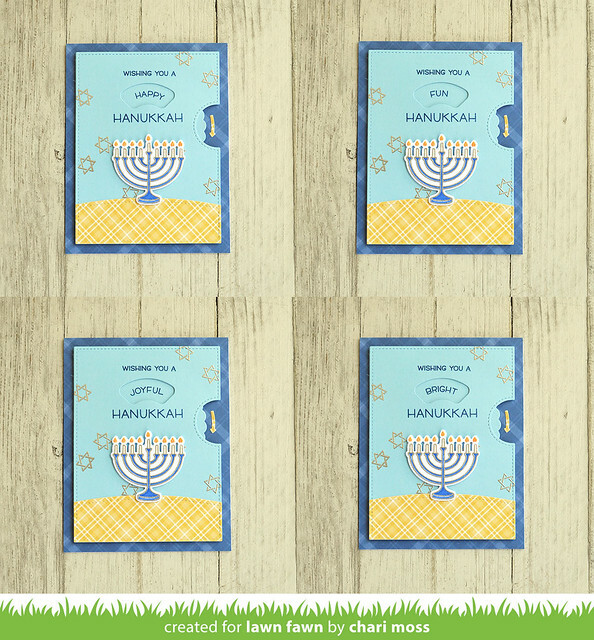 I used papers from Perfectly Plaid chill for my card base background and the "tabletop" where the minora sits. 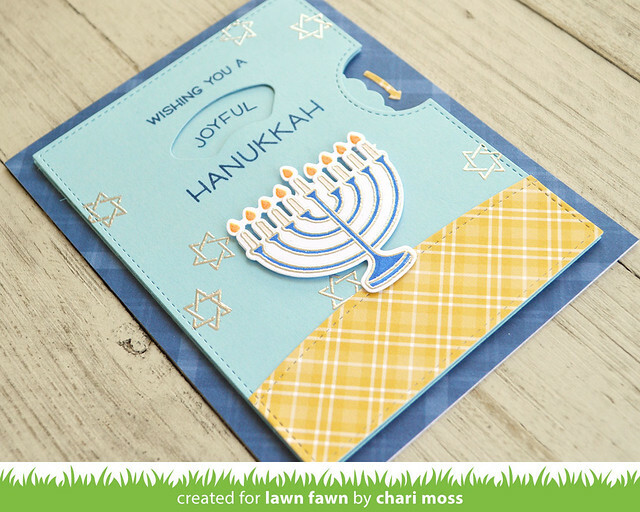 You can see just how this card came together as part of the Reveal Wheel Holiday Sentiments Intro Video. Be sure to check out the Lawn Fawn blog for more fantastic Holiday reveal wheel inspiration.